Bulbs are organized into categories for easy shopping. After logging in, wholesale customers can purchase. 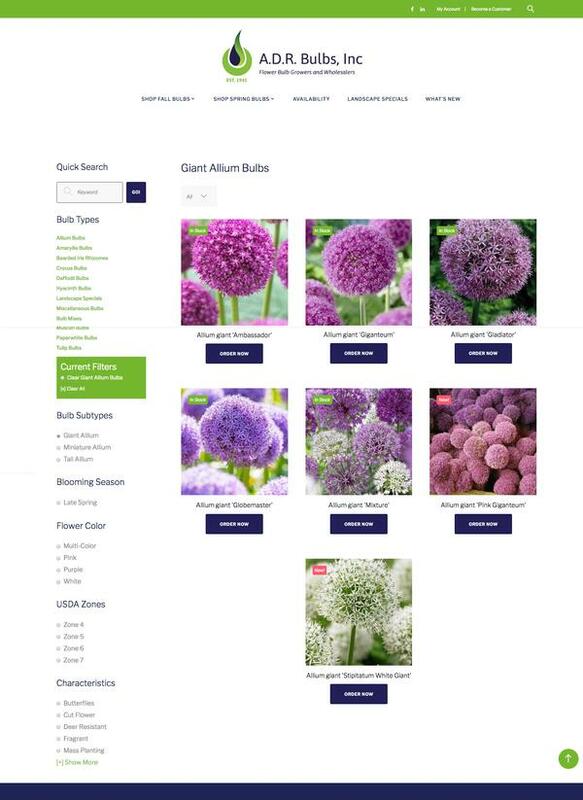 ADR Bulbs is a Dutch flower bulb wholesaler and grower who has been serving the American retail, landscape and grower market since 1946! 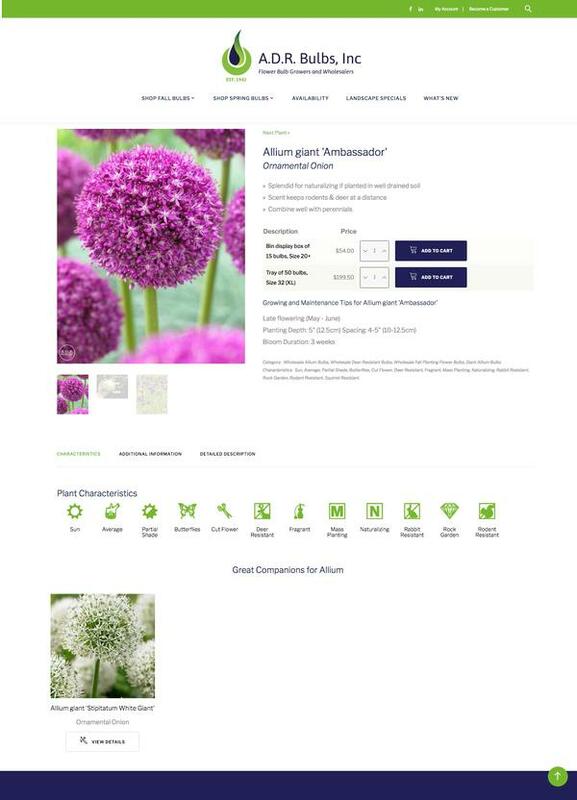 They offer online ordering of their famous bulbs and also a variety of plants. ADR Selected clarity connect to provide an 'extreme makeover web edition' to their site that has not changed for years. The new site has modern classy design with new functionality, easy to use content management tools and straight forward navigation.